Replies: 87 (Who? ), Viewed: 49436 times. #1 27th Jul 2014 at 5:36 AM Last edited by CmarNYC : 3rd Sep 2016 at 10:15 PM. This version adds two new features. First, thanks to VelocityGrass, I have added the full list of Categories and Values to the flags editor. Second, I now have Color Magic read the registry and detect if you have CAS Demo and/or The Sims 4 installed. The old method of browsing to the .package file is still supported as well but since the full game has 22 .package files vs the single one from the demo, I had to improve the process a bit. I'm not 100% sure this detection will work for non en_US (English) installations of the game, so if you have problems with the game selection dropdown box, please let me know. 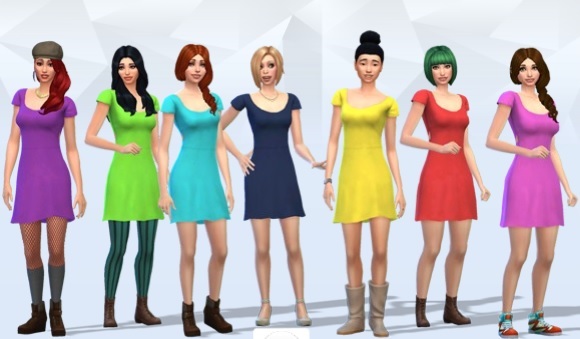 A tool to create recolors usable in the Sims 4 CAS Demo. This tool will let you view a list (by NAME) of the CAS Parts in the demo, and preview the texture, allowing the user to select what they want to recolor. It will then create a package file with the CAS Part, texture, bump and specular maps; note that little is currently known about the bump and specular maps right now, but feel free to experiment. It's intended for people familiar with S3PE and TS3 modding. You'll need S4PE to open the package and extract the image files; get that at Simlogical http://www.den.simlogical.com/denfo...hp?topic=3140.0 . The latest version of that (as of this edit ) exports and imports .dds files. Re-import your edited textures and you're done. Edit 8/13: The tool has been renamed "Color Magic", to reflect the fact that it's been redesigned in a more user-friendly "Wizard" type format. This post has been edited to reflect today's changes to the tool. Enjoy! Silly question. Do we need to have the demo in order to edit the files? You do need the CASDemoFullBuild.package file from the demo in order for the tool to have the original items to make recolors of. You can also do a recolor of a recolor by loading someone else's recolor into the tool. When can we get downloadable recolors on the site? Well, since I don't have the CAS demo yet, I guess I'll have to ask. Can this do hair colors, too? I kind of need a two-tone hair color for a very specific Sim I want to make. Could just use the closest the game has to orange instead, but getting the hair right would be awesome. #7 28th Jul 2014 at 1:27 AM Last edited by Srikandi : 28th Jul 2014 at 6:44 AM. Should be able to do hair colors, yes Haven't done one myself but I've seen one out there! However, you may have to do it as a default replacement instead of adding a new color. The interface has 18 colors for each hair built in (same for eyebrows and facial hair); not sure what would happen if you tried to add an additional one. CASRecolor can do either default replacement or new color. #8 28th Jul 2014 at 5:42 PM Last edited by Nandonalt : 28th Jul 2014 at 5:58 PM. Somehow, new colors aren't working for me. They crash the game when I hover the mouse above the swatches. Wow, that hair texture looks great! 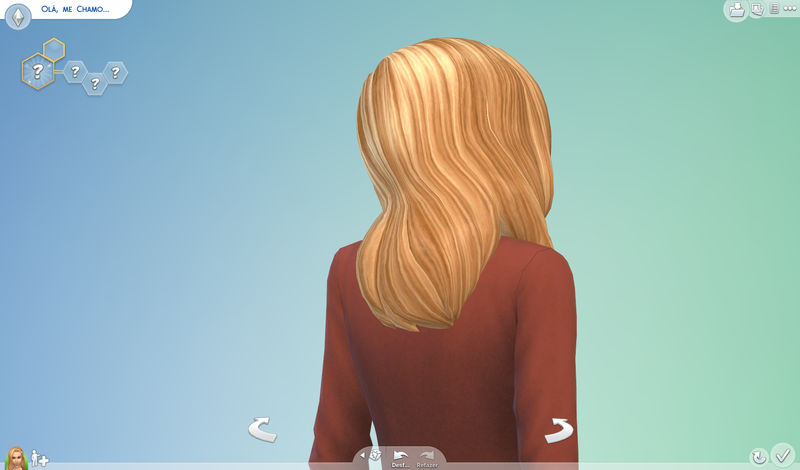 Best-looking hair I've seen in TS4. I agree, that hair is really nice - you can see actual strands!! See EA - hair is not all clumped together like you've dumped a tub of moulding clay (hur, hur) on your head... great job! I took off all the flowers from the floral dresses and made a bunch of (non-default) recolors! Awesome, downloaded them for when I have the demo/game ! You guys are so quick! I can't believe how easy Sims 4 is to mod so far and that is a really good sign! Modding is what Sims games thrive on. Custom content for the Sims 4 is going to be like the Sims 2 where we recolor everything? Love will humiliate you and hate will cradle you. Jealousy would be far less torturous if we understood that love is a passion entirely unrelated to our merits. Mind if I ask a question? Are you guys able to change the search tags for the recolors? So if we recolor something blue, it'll show up under the "blue" search tag? I have a question. Has anyone else run into the problem where you can only have a certain number of recolors? I went a little crazy on the t-shirts and I can only have 2 or 3 (non-default) recolors. Any new ones won't show up at all. I can't get any of the clothing, 2 dresses and the eyeshadow eye lashes to show at all. The only default that show for me is the eyes. #20 31st Jul 2014 at 3:54 AM Last edited by Srikandi : 31st Jul 2014 at 4:25 AM. Yours is the first report of this I've seen... how many t-shirt recolor swatches are there exactly on the shirt you're working on? There could be some upper bound on the number of swatches that can display, I guess. Let us know where you hit the limit and I'll try to see if I can reproduce it. Can you be more specific? Is this items you've made, or other people's? For each one, are these default or non-default recolors? Are you seeing nothing at all change when you add the mod, or are you seeing an additional swatch added but your item doesn't appear on the sim when you choose it? Or something else? 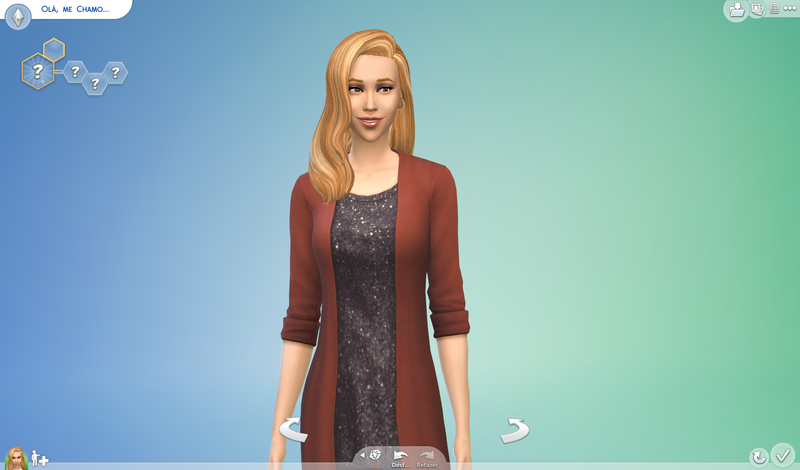 And more discussion of various issues here: http://sims4.the-prof.net/?forum=si...as-recolor-tool . Grant is more likely to see and respond directly over there. I used three different recolors (white, brown and black) and if I had more than one black recolor, (the plain black not wolf shirt) it'd only display one swatch or the second black shirt wouldn't show up at all. So either there is like you said a limit on how many swatches each clothing option can display, or you can only have one recolor for each color or swatch. I had a similar issue with my dresses, I found that when making the package you have to make sure it has a unique name before creating it, otherwise it just won't show up. I know the recolor tool automatically adds a MY_ in front of the recolor name, but only goes up to 3 MYs before stopping and I had to input custom file names. Another thing I did to get around that was making my recolor off of the last recolor I did, so instead of loading the CAS full build package I loaded my dress package. Not sure if all of this is protocol, but it worked for me for this instance. So that is 3 dresses I can't find or don't see in the game. Took them out and will be trying the other recolor I found. Thanks for the links, I will try it next. #24 31st Jul 2014 at 7:16 AM Last edited by lovcat : 31st Jul 2014 at 8:13 AM. Does the file name really matter or is it the actual recolor name, since that's set even if you save the package differently. Edit. Ok, they're all technically showing up, but now I'm having the hover over crash. I'll just wait until the update this weekend. Thanks for helping me clear up the whole naming issue though! Super happy about that. I can see myself with photoshop in a near future doing lots of recolors to add leather textures to some of the clothes. "Ride to live, live to ride...wheels of fire, forever!!!!!!!!!"